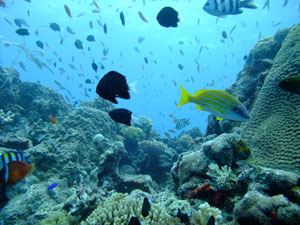 I have been to Fiji. My journey have started from a visit of Tokoriki Island resort, beautiful small Island of Mamanuca and followed Mana Island Resort & Spa which was the second visit for me. 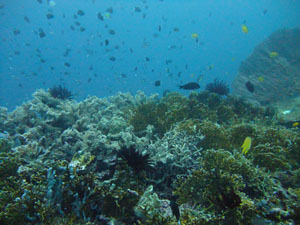 Next destination was Coral Coast of Viti Levu Island. I have visited the latest resort of Fiji, Intercontinental Fiji Golf Resort & Spa and the first resort of Fiji, Shangli-la Fijian Resort & Spa. 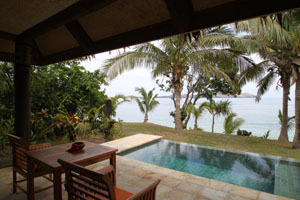 Deluxe Beach Bure of Tokoriki Island. 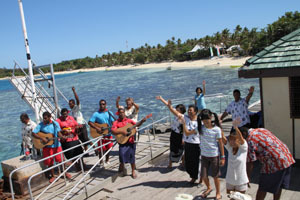 Big Farewell of staffs of Mana Island at the pier. 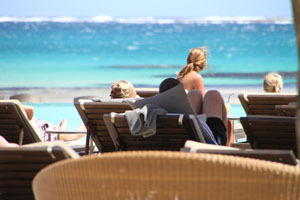 Brilliant blue color of the ocean from Intercontinental's pool side. 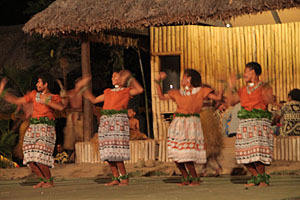 Meke (Dance & Sing)Show of Shangri-La. 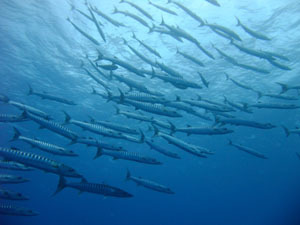 Beautiful under sea world of Mamanuca＠plantation pinnacle. I have returned from the exiting EXPO City of Shanghai. My purpose of visit was reporting hotels such as Park Hyatt Shanghai, Peninsula Shanghai, and very new Ritz-Carlton Shanghai Pudong, but of course I visited EXPO. Pudong and Bund, City and EXPO, I could feel many aspects of Shanghai. I had an interview of Shanghai-today.com at The Afternoon Tea Dance of Peninsula. 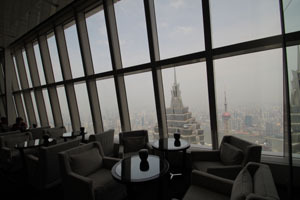 At Livingroom of Park Hyatt Shanghai. 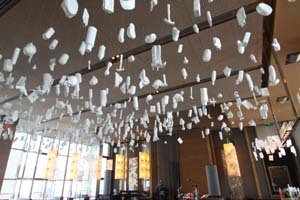 There are many Contemporary art works in Park Hyatt Shanghai. This is the ceiling of 92F Bar. 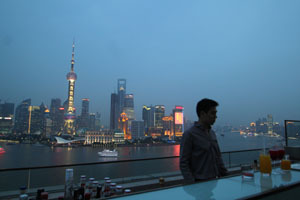 The view of Pudong from the bar of Sir. Elly's in Peninshula Shanghai. 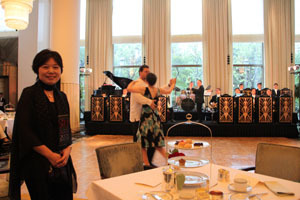 I enjoyed The Afternoon Tea Dance of Peninsula Shanghai. 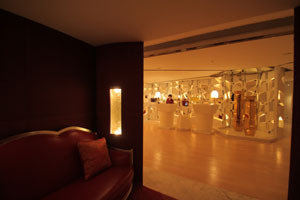 The Spa of The Ritz-Carlton Shanghai Pudong. 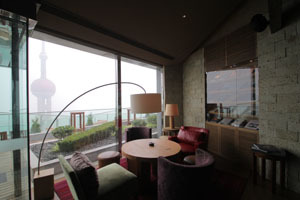 Signature restaurant Flair of The Ritz-Carlton Shanghai Pudong designed by famous Super Potato. I have been to Amanfayun in Hangzhou. Amanfayun is the real village which lies in the valley which has seven temples. 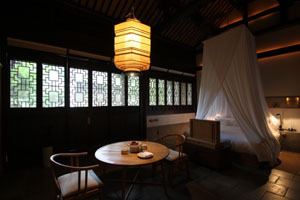 It is a new challenge which luxury hotel coexists with cultural heritage. I love this concept very much. 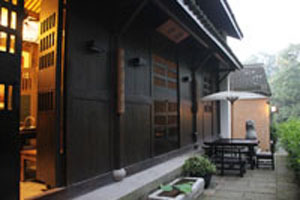 Dusk at restaurant 「Hangzhou House」 in Amanfayun. 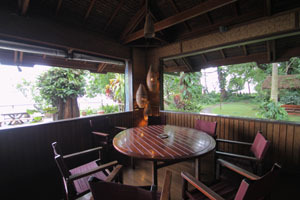 The village suite of Amanfayun. 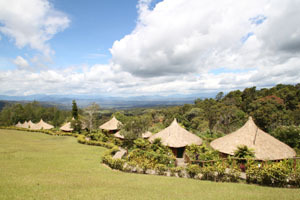 Every villa is renovated the real farm house of Fayun village. 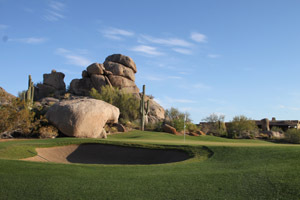 I have been Grand Canyon and Scottsdale in Arizona. 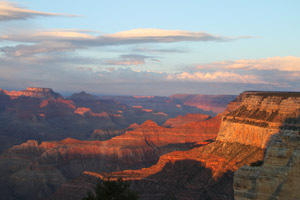 The deep canyon is the land Native tribes believe as the palace which man was born, and the soul of America is also exists. After I was overwhelmed by great nature of Grand canon, I visited again beautiful resort in desert which name is the Boulders. 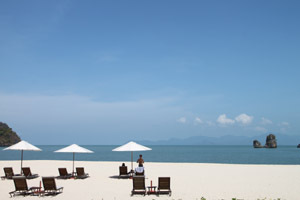 I have visited Langkawi, Malaysian resort island. 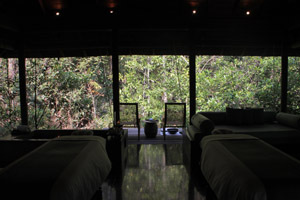 The Datai which is the retreat in rain forest. I found time goes by slowly in there. 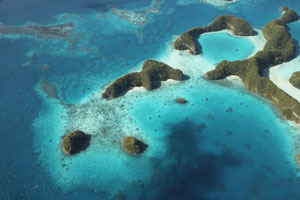 I have been Palau in Micronesia. 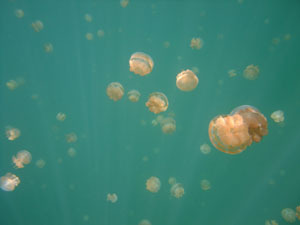 Clear blue from the sky, Mysterious blue in the Jelly Fish Lake, and Deep blue under the water. Every blue attracted me so much. 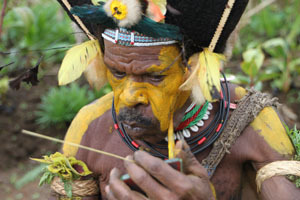 It was my 10th visit to Papua New Guinea. 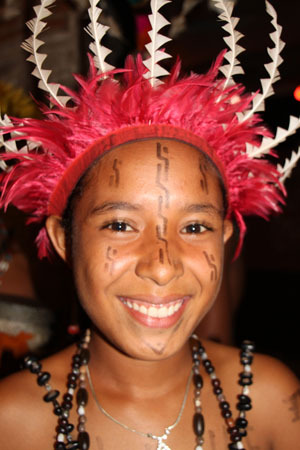 I have visited WALINDI Plantation Resort in Kimbe bay for exploring beautiful underwater world, and flew to the highlands for staying AMBUA Lodge in Tari basin, the land of Fuli clan which is famous for the Fuli-wigman with colorful face yellow and red painting and unique culture. 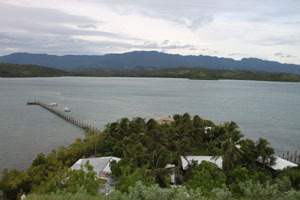 After that I have stayed last night at the LOLOATA Island resort near Portmoresby.